Many people have ask me what did I do to stay in shape while I was pregnant and how I got back into shape after giving birth. 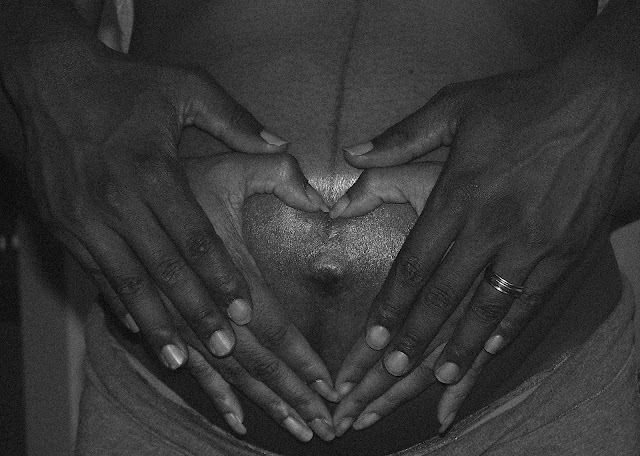 So I decided to put pen to blog to detail everything that helped me get back into pre pregnancy shape. 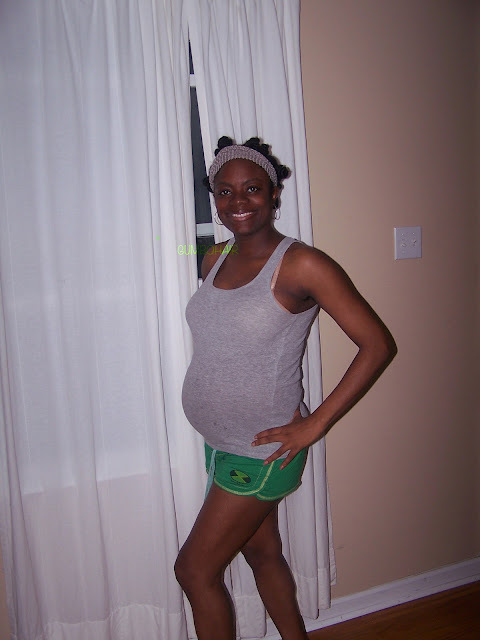 I must say that I was in pretty good shape before I got pregnant. 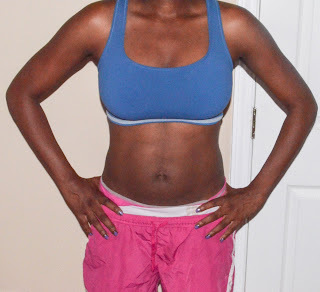 My husband and I had just finished a cycle of P90x and Insanity, when I found out I was pregnant. After which I kept doing my track workouts/gym workouts throughout my first trimester. But make sure you get clearance from your doctor before doing any workout. Persistency - I exercise for about an hour, 6 days a week. In a week, I do a mixture of plyometrics, high intensity cardio and weight training -three-days are cardio regimen and I spend three alternate days focusing on muscle development and toning. Various Exercises -In addition to working out in gym, try taking a long walk at the track or in your neighborhood. I also found that the p90x and insanity series were awesome. I think that it is a great way to jump start your workout after having your baby. Opt For Compound Exercises - For example, doing a lunge with twists while holding a medicine ball. Eat Enough - Instead of junk food, try to eat as much raw fresh produce as possible. SIDENOTE: I suggest that as soon as you feel comfortable band your stomach immediately. I started banding about 2 days after delivery.They are several products out there, just do your research to see which one suits you best. I used the Belly Bandits nonstop for approximately 8 weeks except to take showers. Besides compressing the stomach, the bandit also helped to stabilized me while I was breastfeeding. Cardiovascular exercise - First, jog for half a mile to warm up. After that, do interval training with 6 sprints. rest about a minute between each sprint. High intensity interval sprinting helps the body to get used to normal cardiovascular done in steady state in the gym. By doing so, burns more body fat. After the baby was born my exercise of choice that i do is burpees. This exercise tightened up my legs and core muscles. Weight Training: If you lift more you will lose more that's why I always make sure that I do some sort of weight training. My workout method while pregnant was light weights with high reps. I would do 4 sets of about 20-25 reps of each exercise. I would do a circuit of about 5-7 machines in the weight room. After I completed one set on my first machine I would immediately go to my next machine until I had done all the machines that were on my schedule for that day. This would be considered one round. I would jump on the treadmill or bike for 5 to 7 minutes between each round then start again. I also train with my body weight for squats, pull ups and push ups. The inner core muscles are your stabilizers (tonic). These consist of your transverses abdomens, your pelvic floor, and your diaphragm. The transverses abdomens is your body's built in weight belt. These muscles in conjunction with the other muscles of the inner core provide stability to the lumbar spine, the pelvis and the rib cage. These consist of your anterior obliques, posterior obliques and lower back muscles.Your obliques help you to generate power and athletic types of movements. Snack: A banana or apple or strawberries or protein bars or a dozen unsalted almonds. Always go for non-processed food. Eat complex carbs at the beginning of the day and taper off. SIDENOTE: After 8 months I went raw for about 21 days, This for me completely took off the remaining weight, but i still had some fat in my midsections. It also got my eating habits under control. I find that going raw for a significant amount of time gets bad habits under control. The track interval workout will eventually finished off any remaining fat pockets. LAST BUT NOT LEAST, I LOST MOST OF THE BABY WEIGHT EARLY ON WITHOUT EXCERCISING OR EATING A SPECIAL DIET AFTER 4 MONTHS. I THINK THIS WAS BECAUSE I WAS BREAST-FEEDING NONSTOP. THIS MAY NOT WORK FOR EVERYONE, BUT FOR ME BREASTFEEDING WAS A MAJOR FACTOR IN GETTING MY PRE-PREGNANCY BODY BACK QUICK. ALL CONTENT COPYRIGHT GUMBOHAIR 2011 - 2012 UNLESS OTHER WISE NOTED. CONTENT MAY NOT BE USED FOR COMMERCIAL OR PERSONAL PURPOSES WITHOUT PRIOR WRITTEN CONSENT. ALL IMAGES TAKEN BY GUMBOHAIR ARE COPYRIGHT PROTECTED. ALL RIGHTS RESERVED. OMG!! U got me over here planning my diet..I have to get my body back! And that's how you do it!! Superb Job! I ABSOLUTELY adore this blog for many reasons.You are dong great. 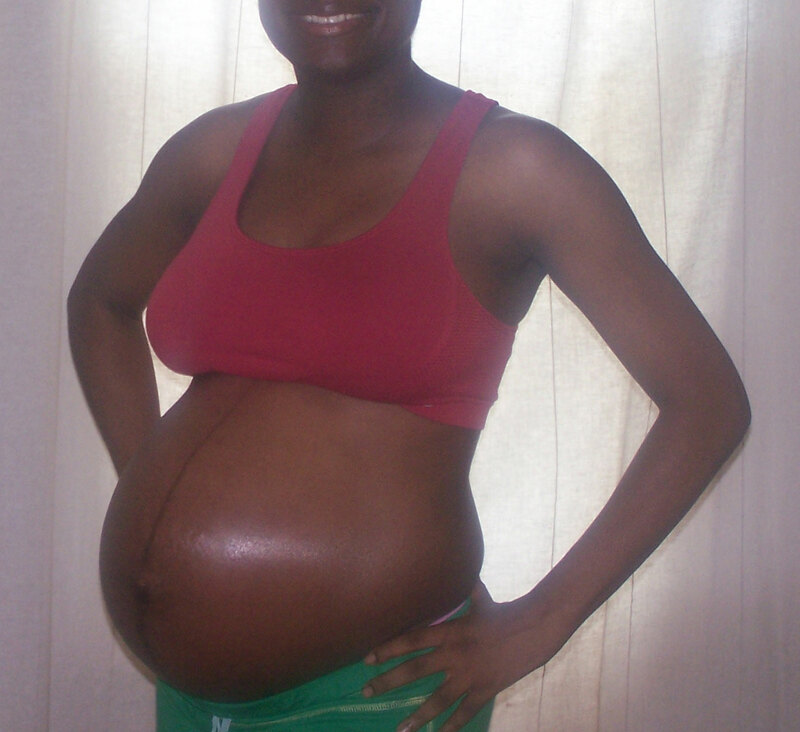 I believe if one weren't active during your pregnancy, or tapered off your fitness routine as the weeks went on, it good to ask a doctor or midwife before you begin exercising. Anyways you look healthy.